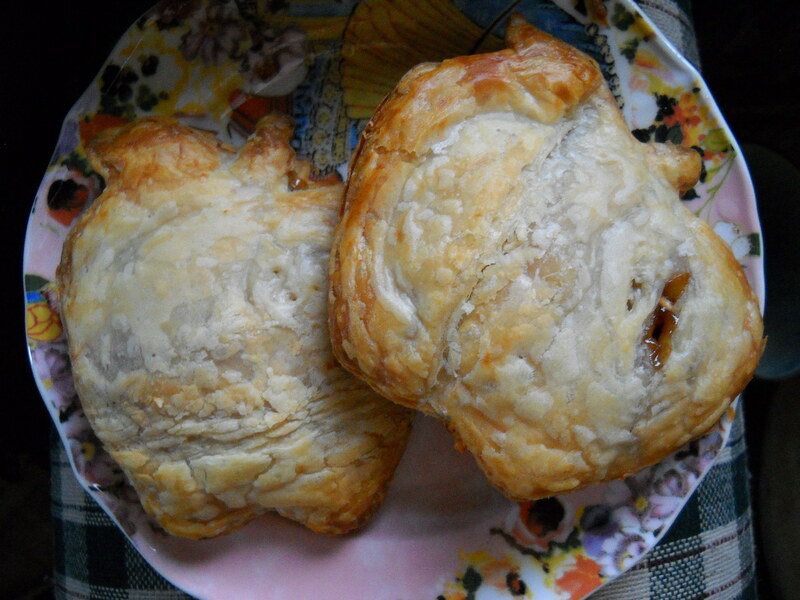 Apple Cheddar Hand Pies + Other Treats. Keeping up with this mofo-ing has been kooky. 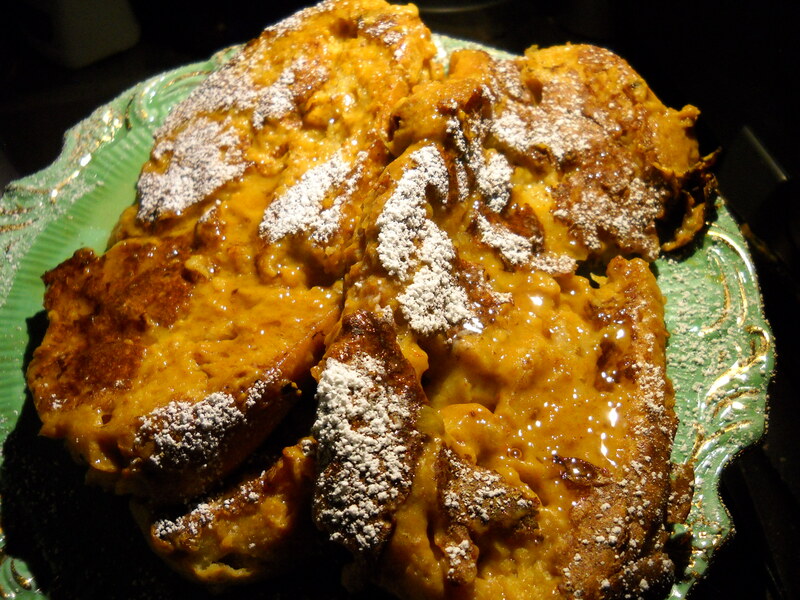 I haven’t really made much of anything exciting this week…but I did manage this Pumpkin French Toast. Omg. I want more. I made this for a friend and I after our brains had been melting all day in the filthy 100° heat that we had the past couple of days. Way to make October gross California, I hope you’re proud of yourself. Anyhow, I opened the maple syrup and poured waaayyy too much on mine, but I still wanted to just eat this for the rest of my life. I don’t know where I’m going with this, but I guess what I mean to say is that everyone should have Pumpkin French Toast in their life. So, you know, get on it. 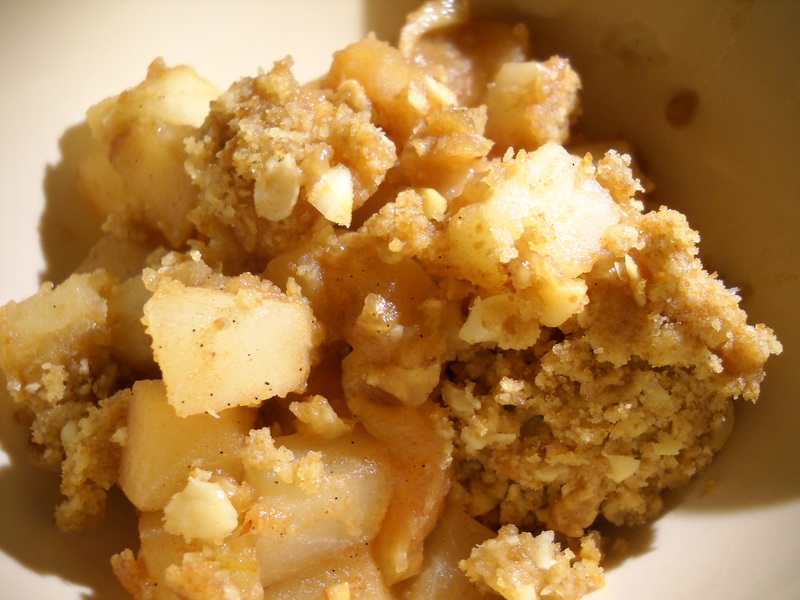 I also made this Spiced Banana-Pear Crumble. I don’t have a recipe for this, but if you want to make it, spice up 5-7 pears with 3 or so bananas with cinnamon and goodness. 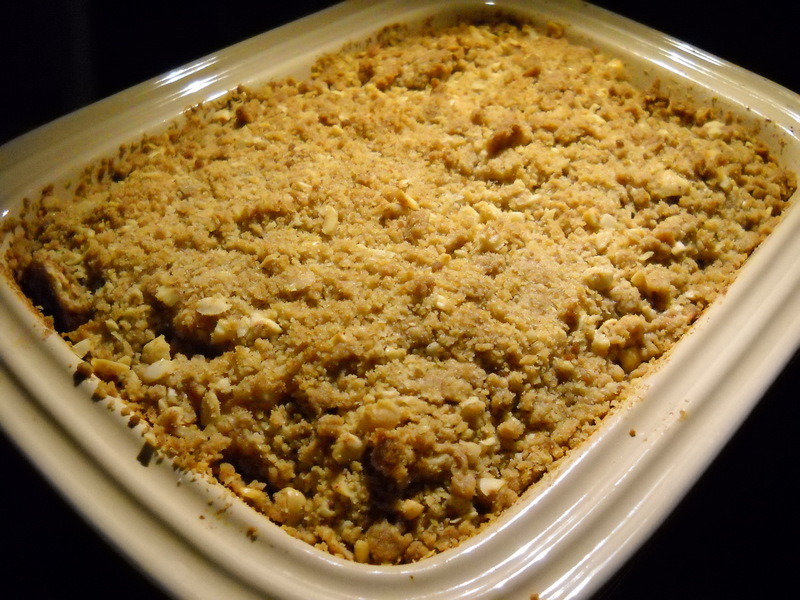 Make a crumble topping out of sugar and hazelnuts and Earthy B and then bake that sucker up. I’m thinking now that it wasn’t the best idea to begin blogging about treats when I am hungry with nothing but Luna bars and have to work, like right now. Well, after I talk about these hand pies. Hand Pies!!! A few months back, I did a version of my larger, very delicious apple cheddar pie into a tiny hand held version. And this tiny version, I bring to chu! Who doesn’t love a pie that you can hold, oozing with hot delicious apple filling? Did I mention get in my mouth, I’m starving? Preheat the oven to 425° F. Line a baking sheet with Silpat. In a bowl, toss the apples with the lemon juice. Add the sugar, cinnamon, nutmeg, and salt and toss to combine. In a saute pan, melt 2 tablespoons Earth Balance. Cook apple mixture for about 7 to 10 minutes until the apples release some of their juices and are slightly softened. Sprinkle flour over the apple mixture and remove it from the heat. ← Blue Cheeze Stuffed Burgers. These look wonderful. I’ve been making lots of pumpkin goodies recently. MMM french toast. Good LAWD these look so good. I look forward to cooking adventures! Me too. We cook now!